During 1899, a man named Sing Law operated a laundry store at 399 ½ Yonge Street. The laundry operation changed owners in 1900 to Park John and in 1901 to Lee John. The landlord in 1899 named John Phipps died in 1900 leaving his estate to his wife Julia Phipps. The information found in the Assessment rolls corresponds to that found in the Toronto City Directory from 1899 – 1901. Every other year the owner of the laundry store underwent a change. 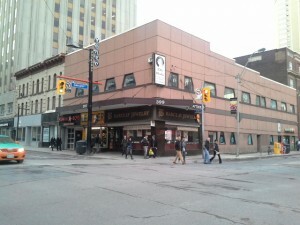 Yonge Street has been the most historical street name in Toronto and has not undergone a street name change for the last century. 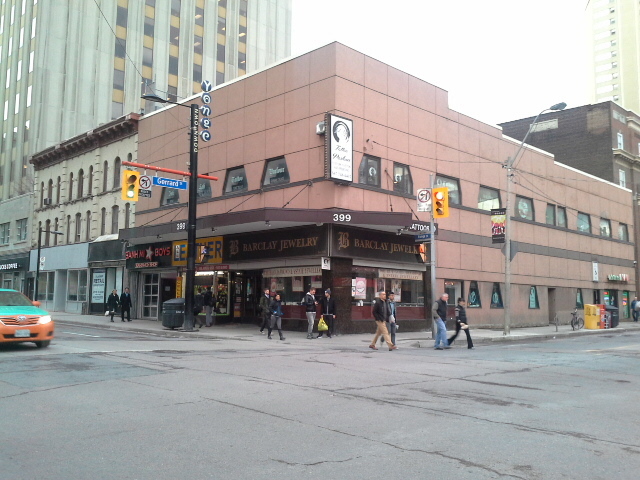 According to Goads Fire Insurance Plans, 399 ½ Yonge Street was located on “Plan: 22A ; PT: Lots 37” intersecting on Yonge Street and Gerrard Street. After checking with the Toronto Archives computer directory I found out that, 399 ½ Yonge Street back in 1899 has changed to 399 Yonge Street today. The street number 399 ½ Yonge Street does not exist anymore.